Some might say it’s too early in the year for a celebrity engagement round-up, but there’s no time like the present to toast these happy, glowing Tinseltown ladies for getting proposed to…and being given a sparkling engagement ring! Soulful singer Brandy has been dating music executive Ryan Press, but only came out in public with their relationship last New Year’s eve. He proposed to her with a beautifully-made ring: a round cut diamond surrounded by smaller ones, held in place with a diamond-encrusted band. 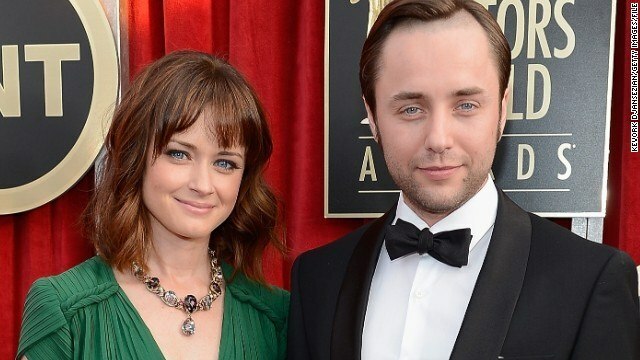 After dating for almost a year, Mad Men co-stars Alexis Bledel and Vincent Kartheiser got engaged a few weeks ago. The former Gilmore Girls star has been reportedly wearing her engagement ring ever since, and though actual pictures of the ring have yet to be seen, witnesses describe it as “huge”. 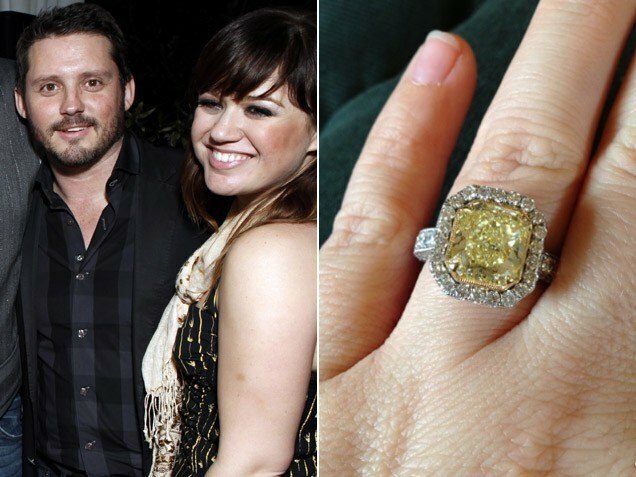 Technically, singer Kelly Clarkson got engaged to talent manager Brandon Blackstock in mid-December of 2012. However, she is very much a 2013 fiancee, especially with the gorgeous engagement ring she’s been sporting. Kelly described the ring on Twitter as “a yellow canary diamond with diamonds around”. Saturday Night Live’s Jason Sudeikis popped the question to actress Olivia Wilde last January 12, and presented her with a unique and highly-creative engagement ring. It has a round-cut diamond center with a halo of emeralds, and is set on a slender yellow-gold band. For your own custom celebrity inspired engagement ring please visit us at Brilliance.com, or call one of our diamond and jewelry experts at 866.737.0754 to get the ball rolling on your own celebrity inspired engagement ring!